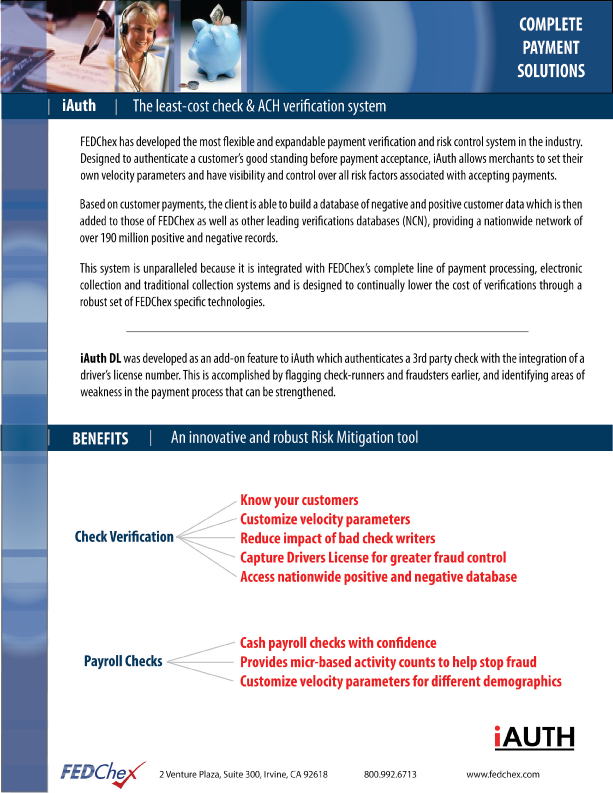 FEDChex has developed the most flexible and expandable payment verification and risk control system in the industry. Designed to authenticate a customer’s good standing before payment acceptance, iAuth allows merchants to set their own velocity parameters and have visibility and control over all risk factors associated with accepting payments. Based on customer payments, the client is able to build a database of negative and positive customer data which is then added to those of FEDChex as well as other leading verifications database (NCN), providing a nationwide network of over 190 million positive and negative records. 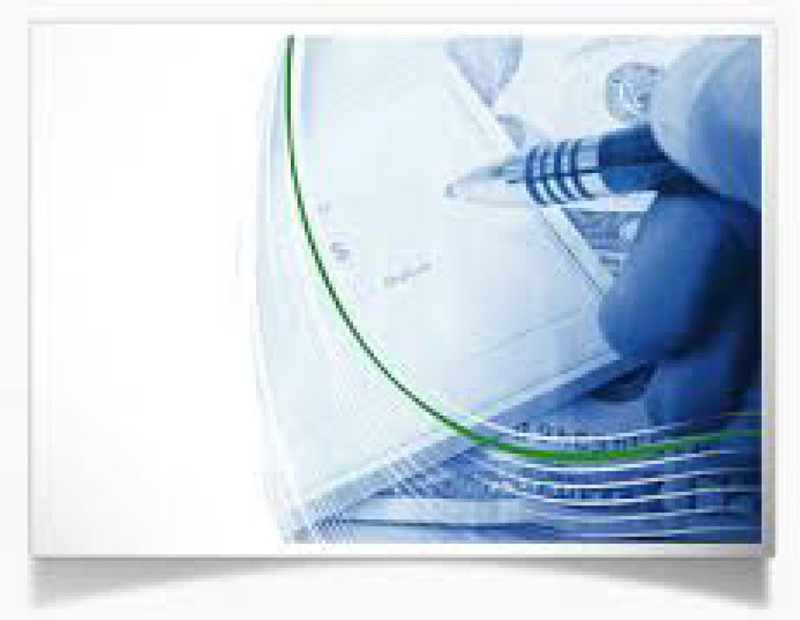 This system is unparalleled because it is integrated with FEDChex’s complete line of payment processing, electronic collection and traditional collection systems and is designed to continually lower the cost of verifications through a robust set of FEDChex specific technologies. iAuth DL was developed as an add-on feature to iAuth which authenticates a 3rd party check with the integration of a driver’s license number. This is accomplished by flagging check-runners and fraudsters earlier, and identifying areas of weakness in the payment process that can be strengthened. WEB iAuth is a new tool that allows business owners to verify a check quickly and easily online, in real-time without the expense of new equipment or IT resources. All that's needed is access to the internet.